I am a lifelong, card-carrying member of the Cut-and-Paste Club (Platinum Kindergartner level — and, yes, I made the card myself). I was sold from the moment the five-year-old me unfolded a little wedge of paper and discovered that all those pleats and snips had created a big, beautiful snowflake. 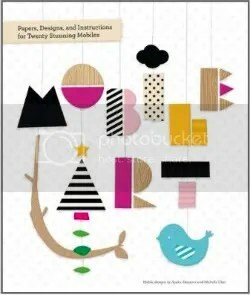 So you can imagine my excitement at discovering Mobile Art: Papers, Designs, and Instructions for Twenty Stunning Mobiles. 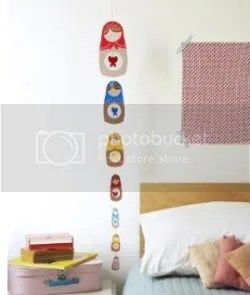 So far I’ve made a charming Matryoshka doll mobile (picture above from the book), and it was surprisingly quick and simple. 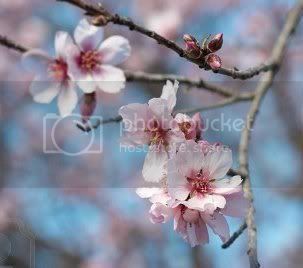 If you’ve got twenty minutes, a pair of sharp scissors, glue, and twine, then you’ve got a piece of art. Some of the mobiles are whimsical, some seasonally-themed, and some distinctly Calder in design. Simple shapes and colors reign, but the subjects range from cupcakes, to abstract mod shapes, to peas in a pod. As a paper-crafting geek, I actually have opinions about adhesives and cutting tools. (Just smile and nod.) For the projects in this book, I love EKTools Honey Bee Scissors: they’re small, sharp, and have non-stick coated blades so you can cut tape and stickers with impunity. My adhesive of choice for these mobiles is Weldbond, a thick, white glue that will stick anything to anything — and believe me, I’ve tried. Mosaic tiles to the top of a dishwasher, floral napkins to desk shelves, glass beads to a Gibson guitar, wire limbs to a tree made from books… sticking twine to paper is a gimme for this stuff.